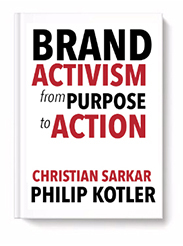 Professor Philip Kotler – the “father of modern marketing” – and I have co-authored a book: Brand Activism: From Purpose to Action. Brand activism is driven by a fundamental concern for the biggest and most urgent problems facing society. The main idea here is that when government fails to do its job, business has a civic responsibility to stand up for the public interest. It’s what a good citizen does. The book introduces the reader to regressive and progressive Brand Activism, and shows how the best businesses are making the world a better place because their activism is a differentiator – for customers, for employees, and for society at large. We also examine the role of the CEO. 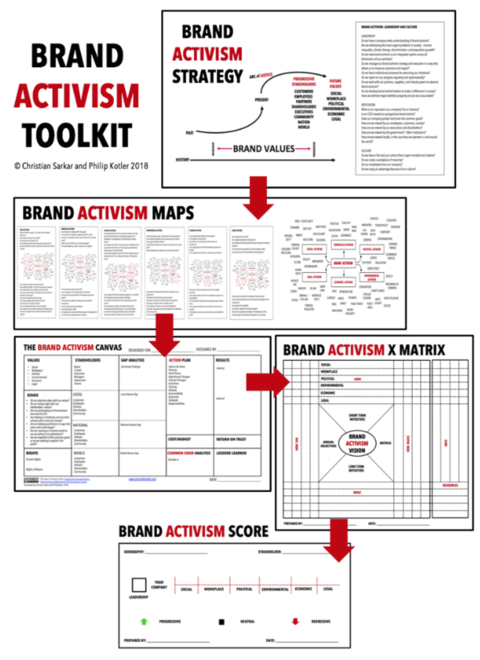 The book includes the Sarkar-Kotler Brand Activism Framework, a toolkit for business leaders looking to transform their companies and institutions. Finally, we’ve launched a separate website to help individuals who want to learn more – www.activistbrands.com. We hope you find it useful.